A Thai court approved the request to drop extradition proceedings, according to Chatchom Akapin, director general of foreign affairs for the Office of the Attorney General. Chatchom said Al-Araibi must now be released as soon as possible. The news will delight Al-Araibi and his supporters, who have launched a global campaign calling for his release. Al-Araibi has refugee status in Australia. Al-Araibi, a citizen of Bahrain, was arrested and detained last November while on his honeymoon in Thailand at the request of the Bahraini government. He had been sentenced in absentia in 2014 to 10 years in prison for a vandalism charge in Bahrain. Al-Araibi fled to Australia, where he was granted refugee status in 2017. He now plays for semi-professional Melbourne-based club Pascoe Vale. 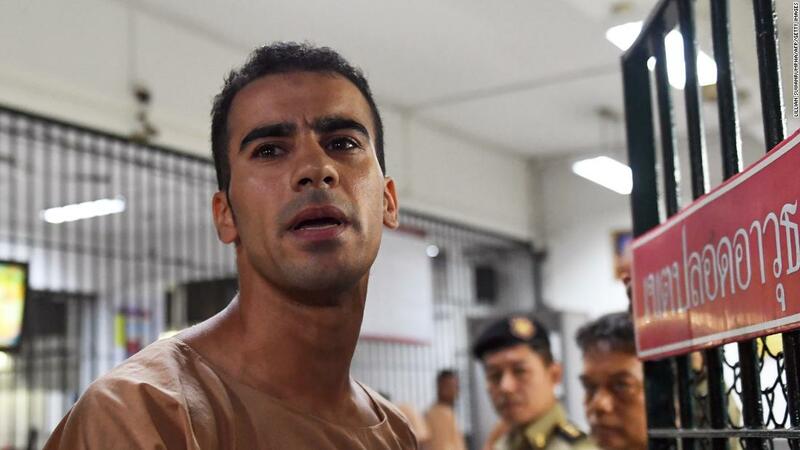 Al-Araibi said he feared he would be tortured and killed should he be handed over to Bahrain by the Thai authorities. Thailand’s attorney general has previously said that his case fell in line with Thai law and it would be up to the courts to decide whether he be extradited. “I’m pleased Hakeem is coming home and I’ll be pleased to see him at home when that occurs. But until that happens, we’ll continue to work this process as you would expect us to, not taking anything for granted and doing so in a way that is deeply appreciative and respectful to the Thai government,” Morrison said. Bahrain’s Foreign Ministry said in a statement carried by local media said that Al-Araibi’s guilty verdict would remain in place despite the decision to drop its extradition case. “The Kingdom of Bahrain reaffirms its right to pursue all necessary legal actions against Mr. Al-Araibi,” the statement read. Activists campaigning for Al-Araibi’s release said that the footballer should never have been detained; an international warrant was issued for his arrest although such red notice requests are not meant for refugees. Football’s world governing body FIFA has been involved in Al-Araibi’s case, with Secretary General Fatma Samoura writing to Thailand’s Prime Minister Prayut Chan-o-cha to campaign for his release. Last week, the Australian Football Federation (FFA) canceled a proposed training camp in Thailand for its Under-23 men’s national team in a show of support for Al-Araibi, who has been openly critical of the Bahraini government and its record on human rights. In 2012, he was arrested and detained in Bahrain for three months, accused of vandalizing a police station during a protest. He told CNN that he was released because he presented evidence that he was playing soccer live on TV when the protest happened. CNN’s Nick Friend contributed to this report.